In the rush of things, people hate waiting – they task themselves with so many things to do within a period of time so that they can do other things. Pathways to the future light up like dendrites as we achieve small ‘victories’ in getting things done. We are awash in these little victories so often, yet feel like we’re sliding backwards at time – we become stressed and frustrated. Our frail bodies react, increasing blood pressure even as we’re forced to sit still and wait, a primal instinct from the Serengeti1. There is an art to waiting. Because one is waiting to do something does not mean that you cannot do other things. On my return to Trinidad and Tobago, I find more waiting than I had grown accustomed to in the United States, where the smiles flaccid keep the customers placid. The art is to not waste time. Yesterday, at a place I get my pickup worked on, I was told by the owner that I should not stay, that I make the mechanics nervous, that I should drop it off and come back for it. I laughed at him, something he’s not used to. 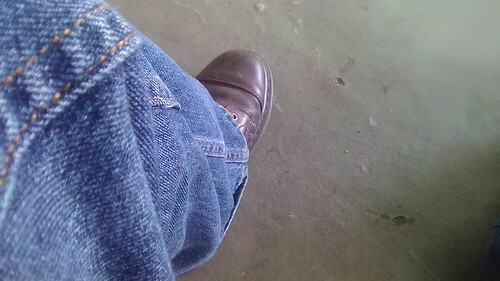 I don’t mind waiting on my vehicle; I depend on my vehicle and am used to doing things myself or watching them be done so that when I take my vehicle into the diminishing areas around civilization that I am not without understanding of what has been done, and what can happen. 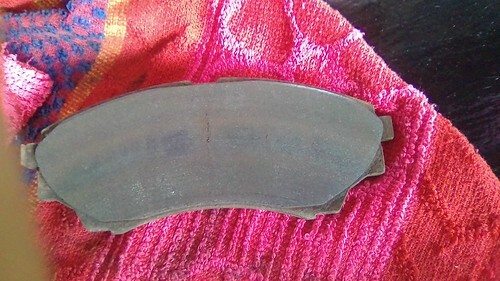 A perfect example were the brake pads that needed to be replaced as the mechanic went through my front end. Had I not been there, had this been done in my absence, there would be a doubt about whether I was being scammed. Sure, it is good to trust people, but it is more important to be able to trust your tools. My vehicle is a tool with a purpose that requires the functionality I demand. And for that, I wait. But it’s more than that. When waiting, one encounters others who are also waiting. This morning as I had something else checked out on the vehicle elsewhere, I spoke with a few rally drivers about their upcoming rally, and how they were setting the camber of their wheels, as well as whether they were going for toe in or toe out. I ran into the groundsmen from my alma mater next door and got a free bottle of water for the encounter. And I got to see how someone I had been referred to was trying to show how an employee didn’t do his job to those around him using my vehicle as an example, whereas I had to stand there and correct him that the employee had done what was right and only partially diagnosed some issues – as he should2. After all, staged diagnoses are how one gets things done a lot of the time. There are no silver bullets, just were-elephants that we eat piece by piece. I watch people fidgeting with their phones, texting away or messaging with people that they know, ignoring what is happening right in front of them. I saw the floor supervisor have to slap the hood of a company’s vehicle – the driver, as he fidgeted on his phone, completely unaware of his surroundings3. There is an art to waiting, a way of not wasting the time but investing the time being spent while waiting for some small victory. It varies, but it’s there. It’s a matter of what you invest the time in. 1Those that disagree and wish to say that we appeared because of a superior being are asked to check their blood pressure at this time and explain why the fight or flight response has been activated in their bodies, and give a reasonable explanation. Leave it in the comments. I promise to give any explanation the attention I believe it deserves. Honest. 2Staged diagnoses are something that confuse people, particularly in management. I’ve seen it in every discipline, from mechanical to electrical to software, and even to medicine. It’s the scientific method practically applied. More on this in another post. 3 Being in the present means something else for some people. Connecting with others elsewhere means disconnecting from those directly around. Situational awareness. Fodder for yet another post.